For the first time in forever, we have news about the Broadway-bound musical Frozen. 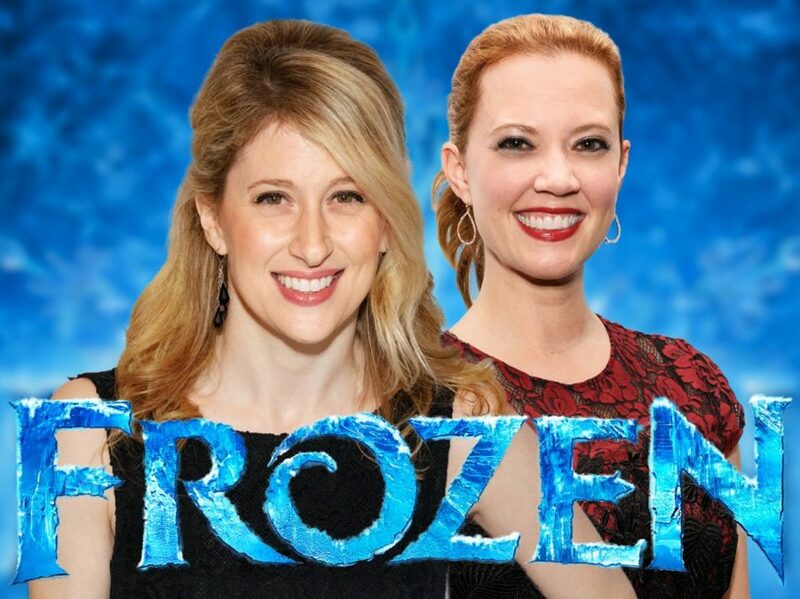 Broadway.com has learned that Caissie Levy has landed the role of Elsa for the upcoming private spring lab of the Disney musical, opposite Patti Murin as her sister, Anna. Levy last appeared on Broadway in Les Miserables, playing Fantine in the most recent revival. Her additional credits include Ghost and Hair on Broadway and in the West End, as well as Murder Ballad, First Daughter Suite, Wicked and Hairspray. Murin appeared on Broadway in Lysistrata Jones and Xanadu, as well as the national tour of Wicked and the Public Theater’s Shakespeare in the Park production of Love's Labour’s Lost . A production spokesperson would not confirm casting for the lab or the world premiere production, which will play the Buell Theatre in Denver from August 17 through October 1. Directed by Michael Grandage and designed by Christopher Oram, the new musical, which is based on the Oscar-winning movie, is scheduled to bow on the Great White Way in the spring of 2018 at the St. James Theatre. The tuner features music and lyrics by married songwriting duo Kristen Anderson-Lopez and Robert Lopez, the creators of the film score, and a book by Jennifer Lee, the film’s screenwriter and director (with Chris Buck). The film won Oscars for Best Animated Feature and Best Original Song (for “Let It Go”) and featured the vocal talents of several Broadway favorites, including Tony winner Idina Menzel, Jonathan Groff, Josh Gad, Santino Fontana and Kristen Bell. Betsy Wolfe played Elsa in a previous lab of the stage adaptation opposite Murin as Anna and Okieriete Onadowan (Hamilton) as Kristoff.